In other words… change begins from within. I have been challenged by Kristy at Palatable Adventures to the 3-day quote challenge. Thank you Kristy! Rules: Post 1-3 quotes for 3 consecutive days, nominating 3 fellow bloggers to do the same. For today, I’d like to nominate the following bloggers. Please don’t feel obligated to participate… it’s just nice being able to give you a shout-out to let you know I appreciate you and your blog. Life is what you make it, so make it a great one. 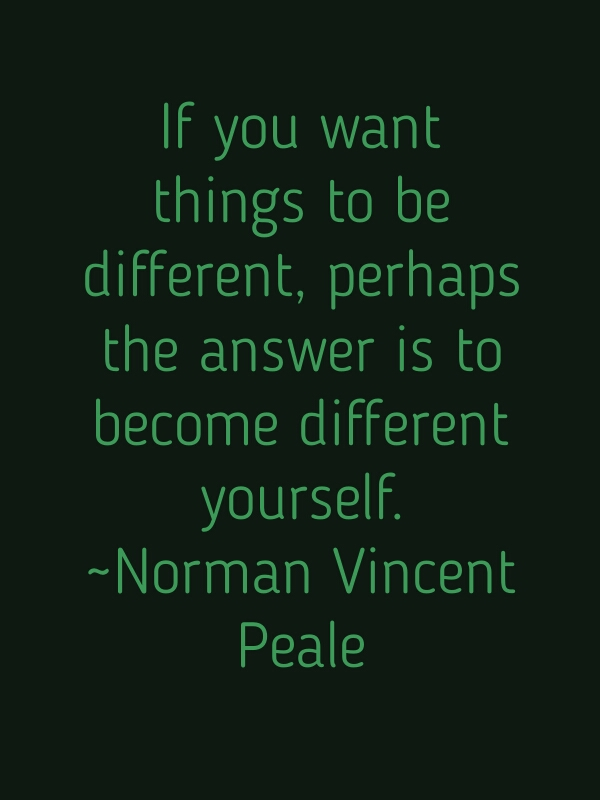 This entry was posted in Life in general and tagged happy, motivation, norman vincent peale, optimist, positive thinking, quote challenge on May 18, 2016 by Paula. Thanks so much for the shout out!! I am loving the positive vibes you’re sending out in to the world! I think my end of the week post will have to be on the same wavelength now, what moves me, what inspires me 🙂 I Love it! !